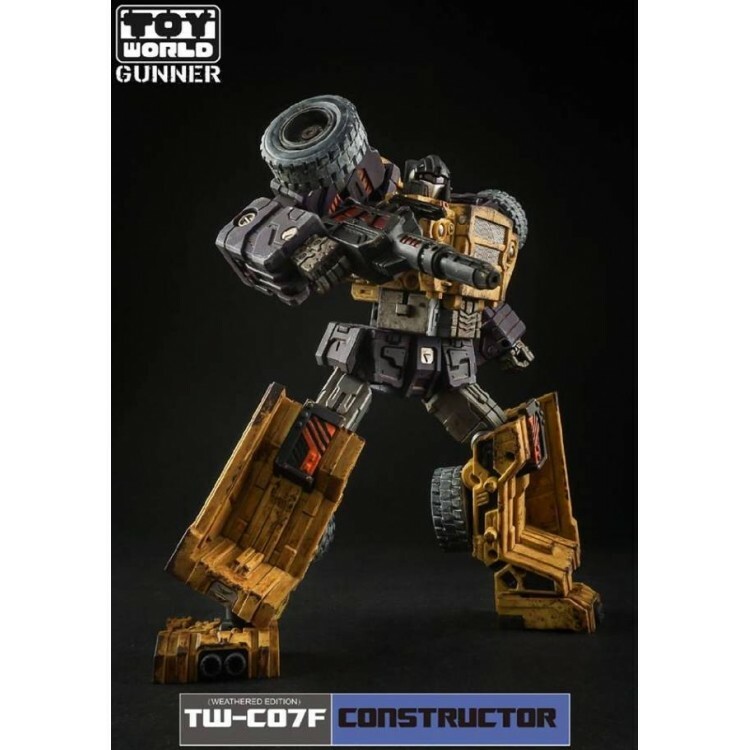 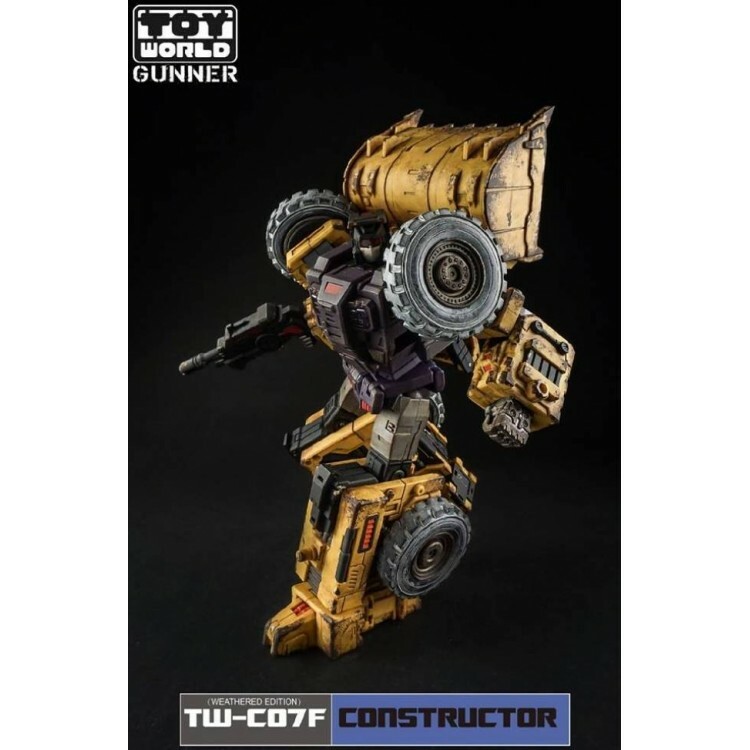 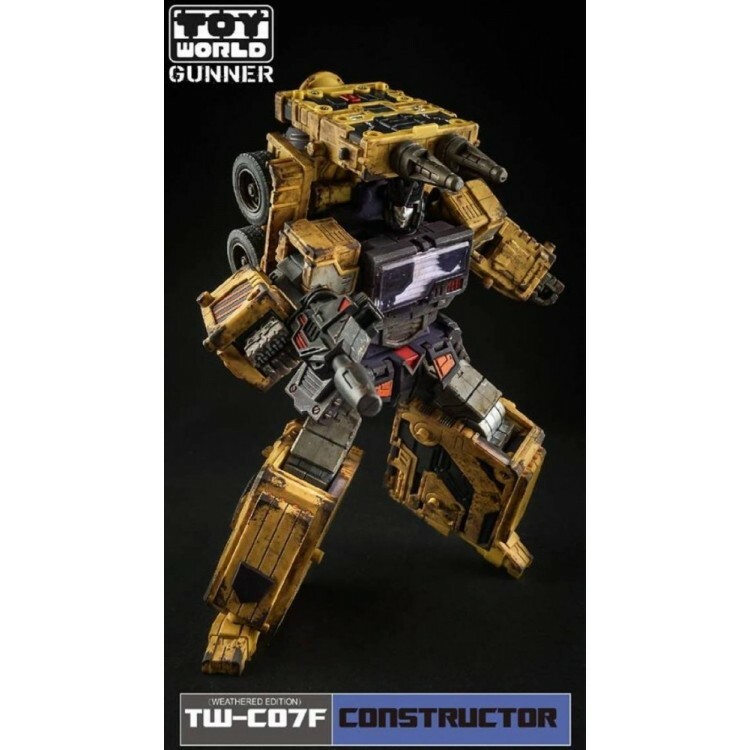 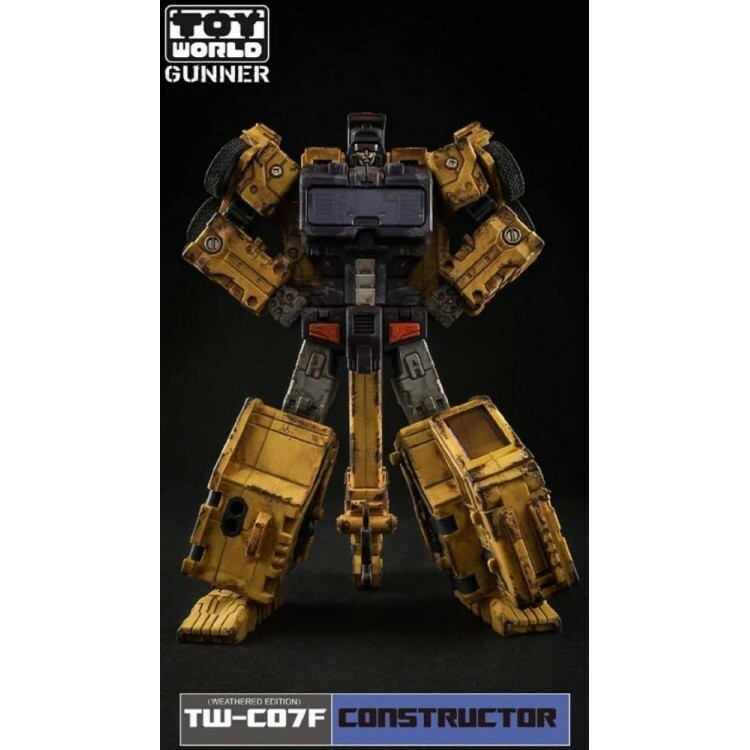 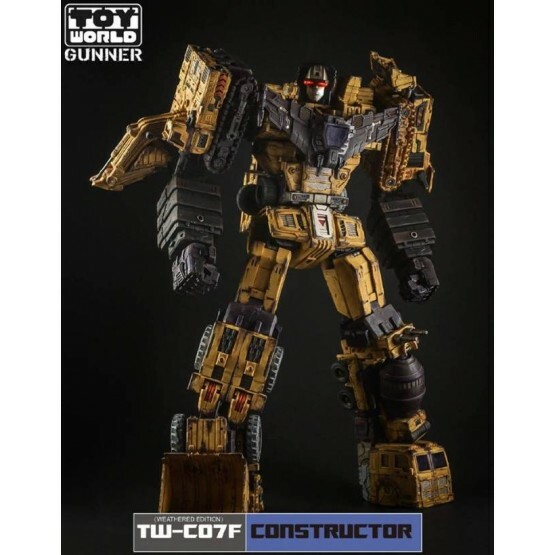 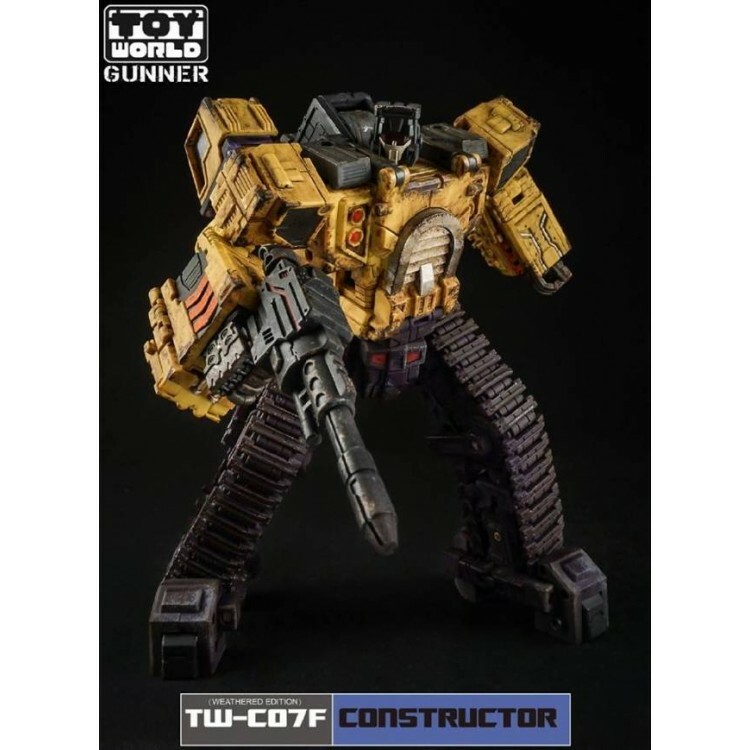 ToyWorld - TW-C07F - Yellow Constructor - Weathered Edition - Limited Edition Gift Set is limited to 200 pieces and features a hand painted/weathering affect only featured on this item. 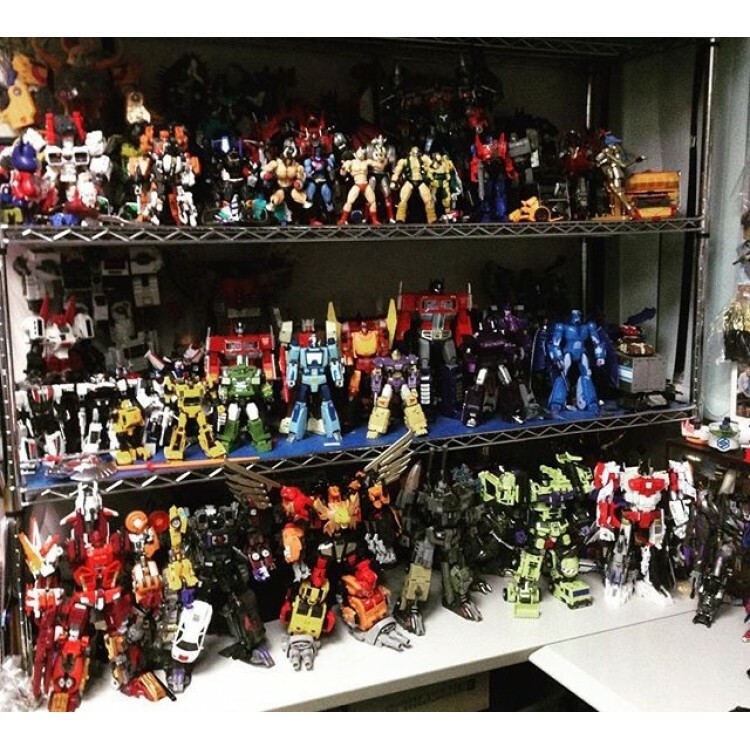 Each gift box will be individually numbered with its own serial number. 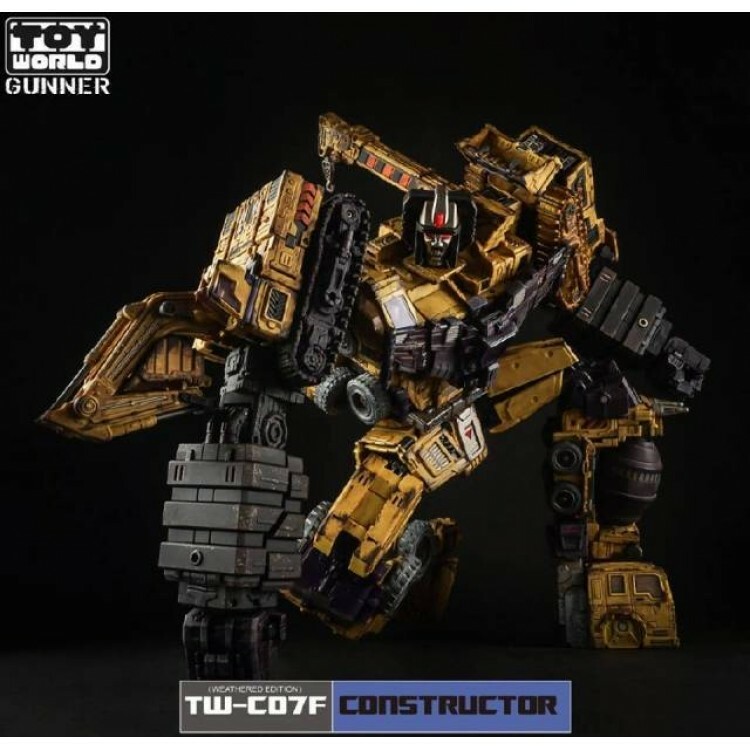 Construcotr is the mighty construction combiner that stands 20"/50CM tall when combined in his G2 Yellow Color Scheme! 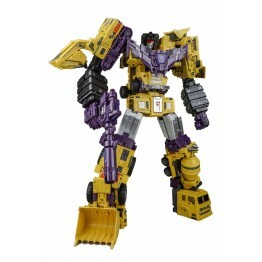 This set comes in individual toy packaging, and includes all 6 fully transformable figures with all parts to form Constructor as shown! 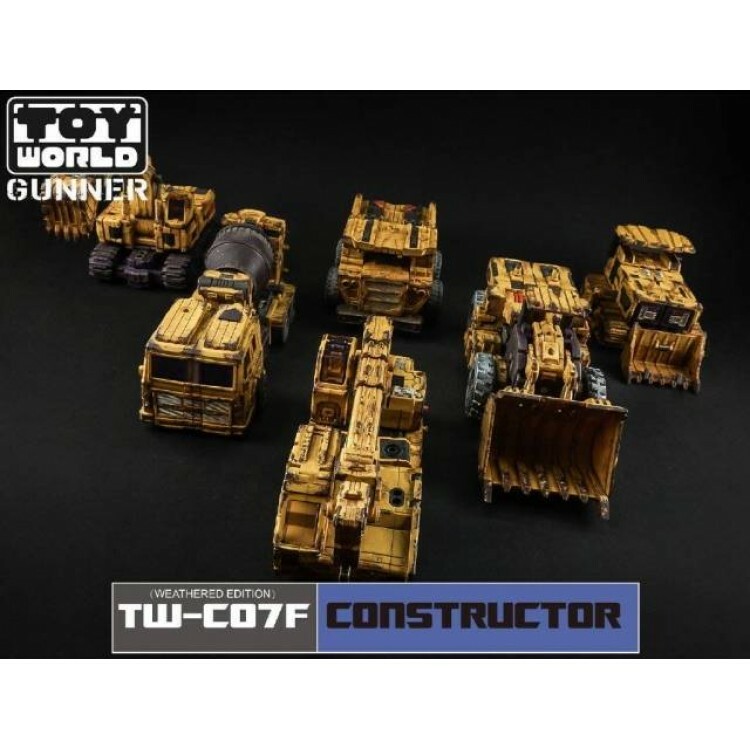 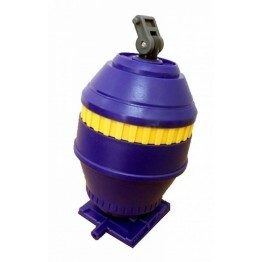 Each individual figure is approximately Masterpiece Scaled and robots feature moving tank tracks, rubber tires, LED lights, and weapons that fire.